Get ready for some in-depth experience and first-hand truth about the health care industry with Dr. Robert Young and Lisa Wilson. Both of these guest have extensive experience with what works and what doesn’t in the health care world as far as truly giving individuals the tools and the know how to truly heal! Join us on internet airwaves with the Raw Living Crew Tuesday, December 10th at 2pm PST as we take a journey into some inspired conversation with amazing professional healers, Dr. Robert Young and Lisa Wilson, who both return to grace the stages of the Raw Living Expo, January 31 to February 2, 2o14 and we can’t wait! We’ll be talking about The Cure for Cancer and other huge and important topics, so you’ll want to be sure to catch this very important show! You can be sure our co-hosts, Laura Fox and Nathan Crane, as well as the whole RLR Crew, Clementine Libre, and Mixtress Hava will be there to join in the fun! Click the Link Above to download the FREE REPORT from Clenentine Libre that accompanies her segment on this show! Please welcome Dr. Robert Young and Lisa Wilson to our show on December 10th! Join hosts Nathan Crane, Mixtress Hava and Laura Fox with guests Dr. Robert Young and Lisa Wilson – for some in-depth and first-hand truth about the health care industry. Both of these guests have extensive experience with what works and what doesn’t in the health care world as far as truly giving individuals the tools and the know how to truly heal! You can catch it live or archived, athttp://rawlivingradio.com. You’ll also get special segments and free reports by Clementine Libre and the community lo-down from Mixtress Hava. Tuesdays at 2 pm PST. Dec 10th, 2 pm pst, 3 pm mst, 4 pm cst, 5 pm est. 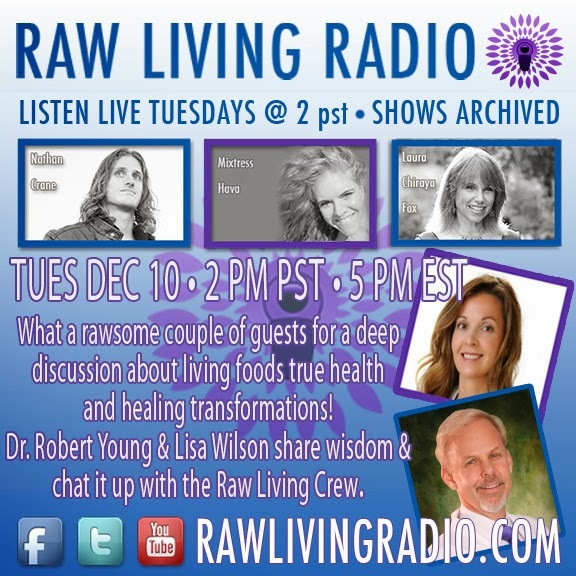 Dr. Robert Young and Lisa Wilson join Nathan Crane, Laura Fox & Havahttp://rawlivingradio.com Dec 10th 2pm PST Alkalinity and Nutrition! Also, Lisa, if you get the chance it will be helpful for our hosts if you can complete this form. Thanks!! https://visionaryculture.wufoo.com/forms/raw-living-radio-intake-form/ – Dr. Young, we have yours on file already. Contact me directly if you have any questions. Thanks!! the River of Life – the blood. 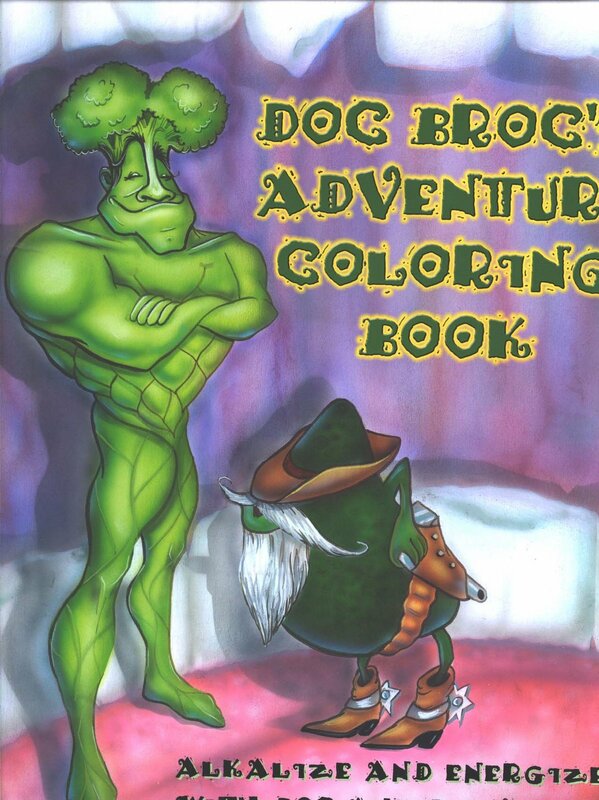 Coloring book ($4.95 value) FREE.